Let’s be honest. How many of you set a New Year’s Resolution to eat better? I am guessing a lot of Americans said that just a couple of days ago. Part of eating right is eating a balanced and nutritious breakfast. And just because it is good for you doesn’t mean that it has to be bland. This sausage is a great way to start out any morning. It is full of lean protein and does not come up short on flavor. You could even mix it the night before and quickly cook it in the morning; or if you want an even simpler morning cook it the day before and reheat it in the microwave. Any way you decide you are going to be pleased. In a large bowl, combine the first seven ingredients. Crumble turkey over mixture; mix lightly but thoroughly. Shape into eight patties. In a large nonstick skillet, heat about 1 tablespoon oil over medium heat. Add patties; cook for 6-7 minutes on each side. If you can not easily fit all eight patties at once; cook four at a time. You do not want to over crowd your pan. I never knew I could make my own sausage! We don’t eat it alot because it so much fat, but I love this idea. Thanks. Have a great week! 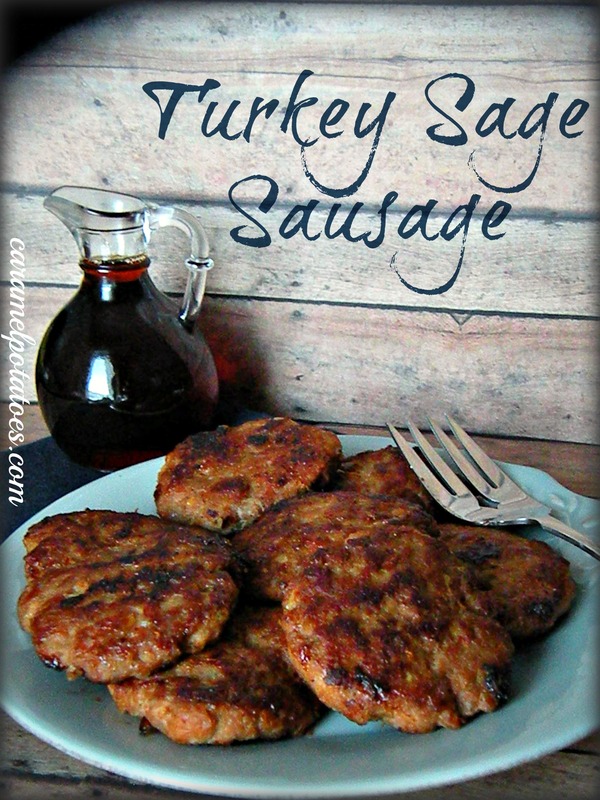 I have been searching for a recipe for homemade sausage. This is delicious!!! I left out the breadcrumbs since I’m gluten free and it still turned out great! Thank you!